If there are no positions available at EUTC that you would like to apply for, but you are still interested in joining our growing body of passionate educators and industry practitioners please do get in touch with the Executive Assistant to SLT. Elstree University Technical College is a new and different kind of school and Sixth Form college for young people aged 14 to 19 years old. We specialise in behind-the-scenes Media Production, Performing Arts and the Entertainments industry. At EUTC, you can study core subjects like English and Maths whilst being trained in creative technical skills that prepare you to join the next generation of Multimedia, Production and Performance artists. We work closely with industry partners like our sponsor Elstree Studios (Film and TV productions included: Paddington, The King’s Speech, Strictly Come Dancing, Big Brother, Britain’s got Talent, The Crown) to give students professional experiences within our specialist area. We have in-house training for colleagues at different levels in their careers. We have calendared programmes for all staff to attend; safeguarding, specific teaching and learning and pastoral workshops. We have a team of advisers and associates who provide support and guidance for a range of subject and whole school priorities. These include changes to curriculum and assessment, BTEC support, safeguarding, new technologies. In addition, there are consultants in English, Maths and Science who are provided by the Mellor Education Trust, who provide ongoing training within the school. Creativity and technology extends to the teaching staff as we support teachers to be confident in using cloud software and solutions, The google platform provides a great training ground and a common ICT language across the community. There are also many opportunities for teachers who take subject and other middle leadership responsibilities to undergo training to support their work as subject leaders and middle leaders. We are part of the Enfield Teaching School Alliance (ETSA) and benefit from support from the six schools who form part of this alliance. Elstree UTC offers staff many benefits and opportunities in a unique setting. The opportunity to work with industry specialists, teach smaller classes and gain experience of teaching exam classes in your first year of teaching in a unique environment. For our NQTs we offer an induction programme and a personalised professional learning package. All NQTs have a mentor and teaching and learning coach. They have a reduced timetable with protected time and administration support through the Herts for Learning NQT Manager. Once teachers have passed their induction year, there are a range of courses each year to support teachers’ development in subject areas and whole school initiatives. We welcome teachers that will be committed to our overall vision for all children and young people to be happy, healthy and safe with a bright future. This is a self-funded option for experienced teachers, which enables successful candidates to be recommended for Qualified Teacher Status. Teaching at EUTC provides equal amounts of challenges and rewards. As such, it's important to remember to support the staffing body with opportunities to share their opinions, take part in team-building activities and every now and again enjoy a little R&R. The Wellbeing Committee will listen to any concerns EUTC personnel have in addition to promoting cohesion amongst the staffing body. Unwind amongst the cast and crew of Elstree Studios productions at 'Rushes' opposite the George Maxwell building. The bar serves hot food, has lounge seating and a pool table. At the end of the day, head up to the Dance Floor and get in shape with our brand new exercise equipment and facilities. 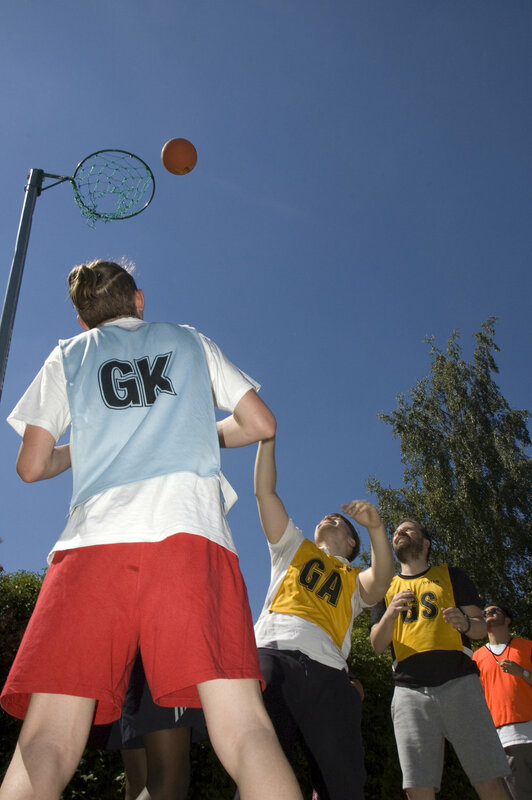 Several times every term, students pit themselves against our reigning staff sports team (who play a variety of sports including netball and football). Due to the nature of our specialism KS4 classes tend to be smaller, allowing for more opportunities in engagement and in depth discussion with your classes. Access to equipment, resources and staff from both Elstree Studios and UH to help strengthen the delivery of curriculum at EUTC. We have an exceptionally tight-knit community at EUTC. 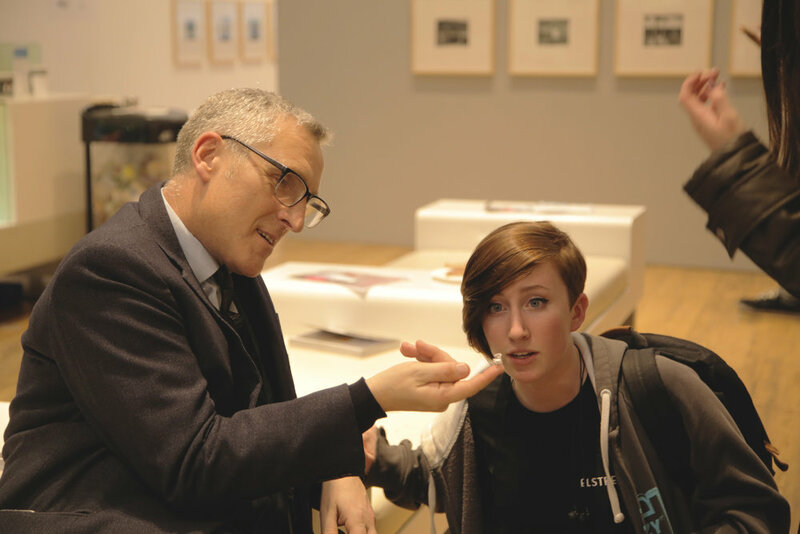 Students studying with us often have to open themselves up to creative critique and as such require a community to surround them which supports their creative endeavours. Elstree offers support in abundance, helping to nurture a safe and collaborative culture around our campus. Last year we launched the Staff Wellbeing committee - aimed at improving Staff social activities after school and on inset days. Upcoming events include Crazy Golf, Staff Screenings and After-Work gatherings. Every member of staff has access to a Toshiba Netbook laptop. If your role requires you to work with more media-rich content then you will be issues one of our Apple MacBook Pros. Next academic year we will be transitioning towards Google ChromeBooks as we fully invest ourselves in Google's paperless ecosystem. Since we opened our doors we have had a commitment to ensuring we do not waste natural resources. That began with pledging to use G Suite (formerly Google for Work and Education) as the core method of obtaining and distributing coursework while utilising GoogleDrive to support the administrative backbone of the college. Since opening, Google has launched GoogleClassroom which is now woven into many of our faculties delivery of curriculum and resources. Oh did we mention? There's unlimited storage space. No limits whatsoever. Enjoy a more relaxed work wardrobe, with guidelines extending as far as 'Media Executive'/Smart Casual' as the defining style. Expect to see your male colleagues wearing plain black jeans, coloured chinos or trousers with a shirt (tie is optional) or smart jumper. Female colleagues can be seen wearing black jeans, chinos, trousers, dresses or skirts with blouses, shirts or jumpers, and so on. We just ask that you dress tastefully and professionally. In addition, we ask that you keep a blazer on the back of your office or within reach at all times (in case we have guests visiting). For more details please refer to the EUTC Staff Handbook. Fridays are often considered the highlight of the week for many reasons. In our case, you can enjoy a 15:15 finishing time regardless of whether you are teaching, administrative or support staff. Sign up for in-college-hours treatment to help you unwind before cracking on with marking. We are located just down the road from Elstree Studios at the old MGM studio site in Borehamwood. We have a new campus and industry standard facilities. We are 22 minutes from St Pancras by train and served well by London Buses. Borehamwood has a thriving boulevard shopping centre complete with Tiger, Starbucks, Outfit, M&S FoodHall, H&M and Next for all your shopping needs. The town itself has a variety of commercial and independent stores in addition to a new wave of coffee shops and restaurants on the high street. As an EUTC Staff Member you will receive access to the UNiDAYS app with discounts at major high street brands and entertainment services such as Spotify. Once a year entry cards for Elstree Studios’ ‘Rushes’ bar are distributed to current staff providing access to the exclusive bar and lounge. A short drive north of the college (at the end of Studio Way) is ‘The Mops and Brooms’ – a humble and cosy pub/restaurant that EUTC staff favour on the last day of term.